FORMER senior national boxing coach Wisdom Mudenda has bounced back to the top role, replacing Kennedy Kanyanta, who was dropped together with his assistant last week. Mudenda has been shuffled between the senior and under-20 teams and was permanently removed from the senior team two years ago when the previous executive appointed Kanyanta to the role. In a statement yesterday, the Zambia Boxing Federation (ZBF) named a completely new squad to replace the group of coaches and assistants they sacked last week at both senior and under-20 levels. The ZBF had also disbanded all national teams. 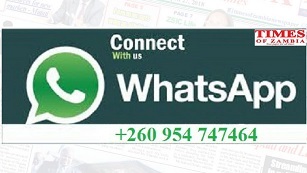 The Kennedy Mubita-led executive has also appointed two coaches in little-known Greetings Kaonga as well as former African hard-hitting welterweight champion Hastings Bwalya. Former national team captain Jonathan Mwila has been appointed as the new under-20 coach to replace Nkwazi’s Maybin Gunduzani and will be assisted by former Olympian Dennis Zimba and Richard Banda. The executive has also named Elias Kataya, the 2002 Manchester Commonwealth Games gold medal winning coach, as the new technical chairperson. 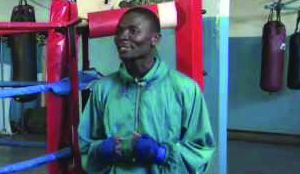 Kataya was coach when Kanyanta was winning the Commonwealth gold medal in the featherweight category. Other appointments are in the Judges and Referees Commission which have Chalwe Katebe, Darius Kabwe, Davy Mwale and Judy Chalwe. The federation has also named Dr Charles Chingumbe as the national team doctor and will be assisted by Patrick Musonda. Mudenda said he was happy with his appointment and that he would not disappoint the appointing authority. “I am humbled by this appointment; it shows that people have confidence in me as a coach. As a qualified coach, I will strive to improve the sport through dedication and hard work,” he said.